Thomas hates nail trims with the heat of a thousand suns. The first time I tried ro cut them, he totally freaked out and growled at me. 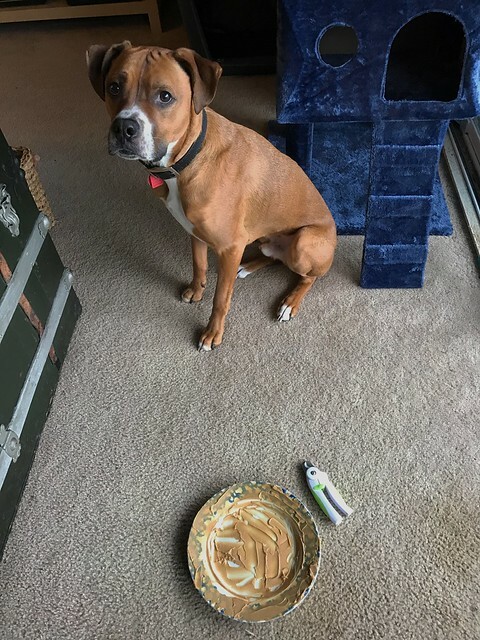 Mani-pedis still aren’t his favorite thing, but as long as he’s distracted with peanut butter, he’s mostly cooperative. I think we can both live with that.